Is "property for sale in Scottsdale, AZ" or "homes for sale in Maricopa County,AZ" increasingly being entered into your Google search bar? 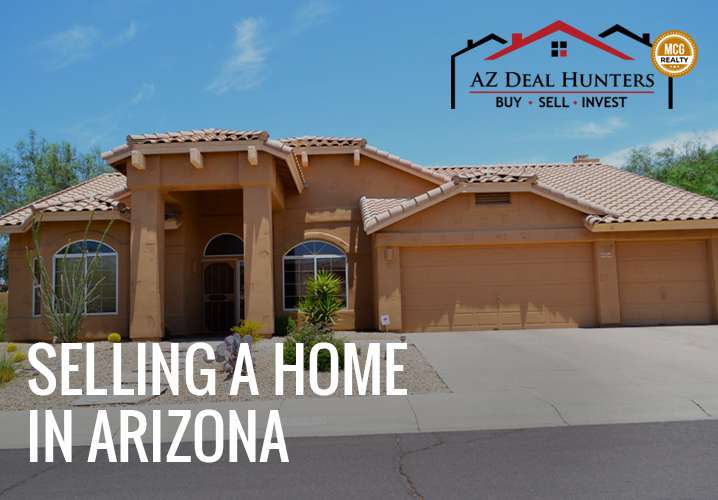 If you're thinking of buying a house in Arizona, it can be pretty overwhelming. You have to look at plenty of options just to find the right home for you and your family. 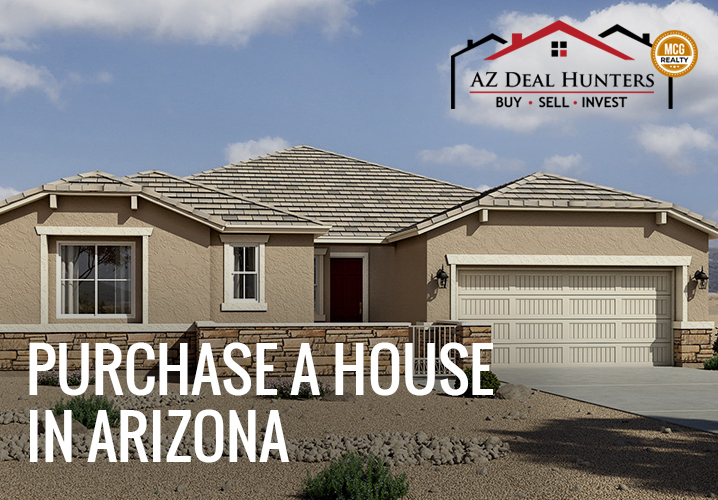 With all the various houses available in Arizona, you'll need an efficient system to go through each of them. 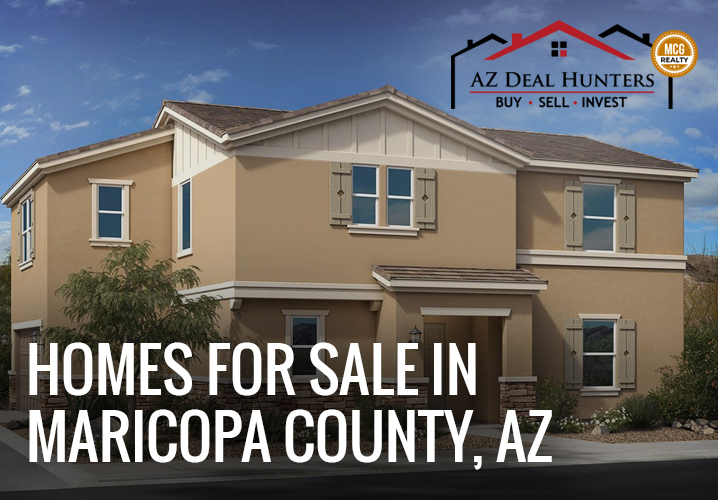 That's where AZ Deal Hunters and other realtors in Phoenix, Arizona can help you. Here are 15 steps to help you find the best house in the area. If you're planning to buy a house, make sure that you don't make large purchases in the past three to six months. You don't want to risk your credit profile. Lenders need to know that you're credible and they need a full paper trail so they can provide you the best viable loan. Commit to limit your buying habits. Minimize credit use and avoid opening new cards. Sometimes a few point variables can improve your loan approval or give you a better rate. It's impossible to buy a house if you're uncertain what you really need. Take the time to list the things that you're searching for in a home. Do you like a large garden, a spacious living room, or a modern kitchen? Will you be bringing pets or planning to have children in your house? Would you like to be close to schools, stores, and parks? Consider all these questions and list them down. Once you know what you want in a house, it will be easy to look around the area. Don't forget to relay your preference list to your real estate agent so finding your dream house will be easy. Even if you're someone who wants to work things out alone, we tell you the process will be easier if you work with a local real estate agent. An experienced real estate agent knows the different housing options available in your desired location. Contact your local real estate agent and tell them what location you'd want to purchase a house in. The benefit of hiring a realtor is that it doesn't cost you money for their expert advise. The seller is the one paying the professional charge, while you, the purchaser, just undertakes a moving process without any hassles. 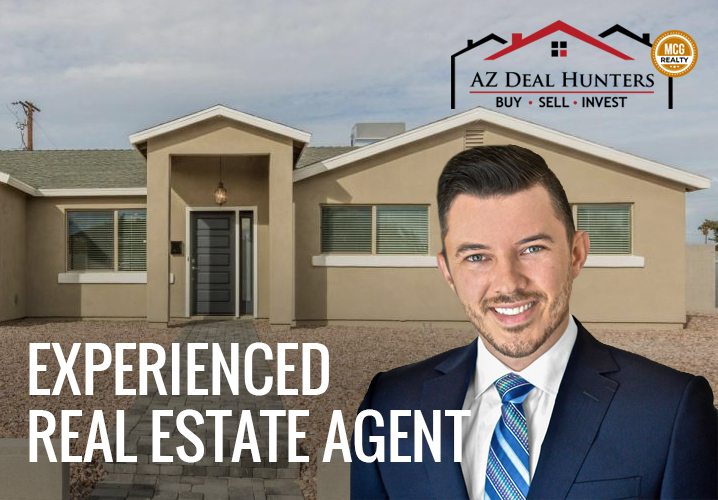 The real estate professionals at AZ Deal Hunters can help you find the top houses in the area that suits your needs because they're dedicated to the housing market in the Phoenix regions. Before getting pre-approved by a lender, see your credit report. This information can be pulled from the major credit-reporting agencies, such as Experian, Equifax, and TransUnion. Having this information can help you dispute any mistakes in the reporting when you talk to the lender. A credit score usually ranges from 350 to 850. You want a higher credit score so you can get a lower interest on your loan. Scores will be based on your overall debt, payment history, and length of credit history. Any credit score above 720 is a good credit score. If you like to get an FHA loan, your credit score should be above 580. Once you know your credit score, determine what interest you'll likely qualify. Before you search for a house online, get your financials organized by securing a full underwritten pre-approval. 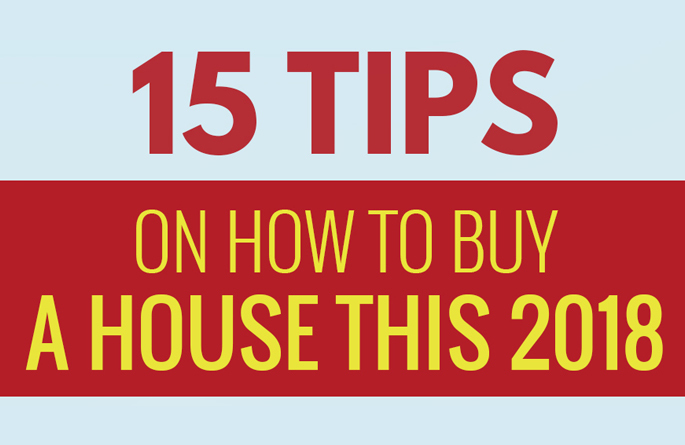 You'll have an edge over other purchasers if you take this tip seriously. First, it indicates that you as a buyer can give an offer without any eventualities. Second, you can shorten the transaction time by one to two weeks. This can help you close quicker than other home buyers and shop around for the most desirable deal. When you secure the loan, learn about any hidden fees and junk fees because they can reduce your budget for the house. If you what you have are stock options, make sure they're liquid and available. Consult with your company to determine how fast the options can turn liquid if they're required to purchase a house. Once you're prepared to search your dream house and teamed up with a real estate agent, it's time to check the MLS. Use the updated MLS to view the available houses in different locations. The MLS of AZ Deal Hunters is found right here. This site will offer you information on homes, their features, and listing prices. In this step, you'll realize if the homes for sale in your desired areas have the features that are significant to you. Narrow down your search to easily find the perfect home of your dreams, which takes us to the next step. While people are searching for a four-bed, two-bath house in a particular area, get a better deal on houses that have a space for an additional bedroom or toilet. You can offer a smaller price and save up for a room addition in the future. Search for houses in areas where you think are appreciating over the next couple of years. In the future, you can resale the house for a higher value. The biggest house isn't desirable when you buy a property. If you're planning to resell the house, a big property would only appeal to a few home buyers. This could mean fewer chances of reselling your house to the market. The value will also increase as much as the other homes around so this means limited appreciation. Sometimes, it's more desirable to purchase the worst house in the neighborhood. You can remodel it and sell it at a higher value in the future. Once you have narrowed down your choices, it's time to visit each of them. You'll be surprised that the houses you see online may not look the same in person. If you want to make the best choice, you should see as many as you can in person. Don't just visit the neighborhood for a single time only. Make it a few times to get a feel for the neighborhood. Include a weekend, so you'll know how your neighbors are like when they're at home. You might also check the amenities and parking situation. With the house itself, check the size of the garden, the condition of the roof, and electric connections. Is the garden too large or small for you? Do you need to repair the roof or not? Are there adequate sockets in the house? Before you make an offer, find out how you can connect with the seller. The seller might choose a buyer for various reasons. For example, a single mother selling a home will sell the house to a fellow single mother like herself. In this case, introducing yourself will help you stand out from the competition. A seller will need to vacate the house before you can move in. Up your chances of getting your offer accepted by making an offer that meets his/her needs. In this case, present to rent back to the seller for a few months. Another way of finding out what's important to the seller is to consult the listing agent. Once you have found the house of your dreams, it's time to make an offer. Make the offer as competitive as possible so you won't lose with the other buyers. In a seller's market like the East Valley, do less "asks", organize your financials, and be ready to move fast. Don't get too attached to the house because it will take about six offers before a purchaser's offer is accepted in the East Valley. Usually, buyers are offering a price 5-15% higher than the listing price. If you want to have room to raise your offer price, look for houses with listing prices lower than your budget. Your real estate agent will help you make a competitive offer. This is the part where you should be stress-free. Let AZ Hunters Deal do the job for you. You can get an edge by being amenable to your seller's needs. Ask the listing agent when the seller likes to close as this can be a factor when reviewing several offers. The seller seems to close a deal quickly when a buyer is very accommodating with his/her offer. Of course, you need to rush your seller to decide right away. Give him/her time to think about your offer. Set a certain date so you'll know when to find another house. Even if the seller rejects your initial offer, don't be discouraged. That's just part of the negotiation process. While your initial offer may be multiple pages long, the counter offer is typically one page long. The price is the most common term to be changed with the counteroffer. The price is more likely to increase if the seller will make a counteroffer. If you accept and sign it, then it becomes a binding contract. If you don't agree with the seller's counteroffer, you can create a counteroffer of your own. Several counteroffers may be exchanged between parties until an agreement is finally achieved. If you end with this situation, make sure that you understand the terms that you're agreeing. There's often disputes happening about what items are included/not included in the sale of a house. Of course, the personal property of the seller isn't included in the sale. So, what items are considered part of the house? Based on practice, any item that's affixed to the house is more likely deemed to be part of the house. Unless nailed to a wall, a painting hanging on a wall isn't a part of the house. A television screwed on a wall might be considered part of the house. If that same television is just hanging on a nail or standing on a desk, then it's personal property of the seller. A seller listing a house "as is" is just him/her telling the buyers that he/she doesn't want to repair the property. Even if the house is sold "as is", the purchase contract still includes an Inspection Period. During this period, you can inspect the house and you can cancel the contract if you're not happy with what you see. When you cancel the contract, you can ask a full refund of your hard-earned money. This is again another complicated inspection and due diligence procedure present in most Arizona home purchases. Ask your real estate agent about this for any questions. 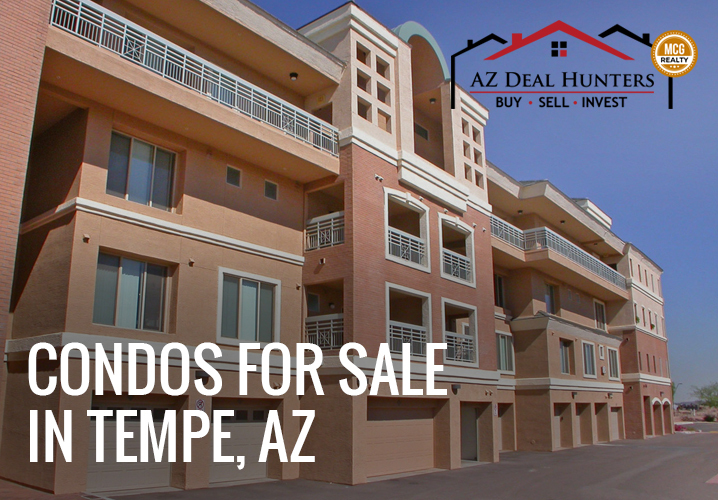 Whether you're looking for condos for sale in Tempe, AZ or land for sale in Phoenix, Arizona, AZ Deal Hunters can help you find the right property that suits your needs. If you need assistance in buying a house in Arizona, call 480-432-7049 them today!